If you have a passion for hair and make-up then this Beauty Therapy Diploma is the perfect opportunity for you. Whether you hope to work for an established Beauty Therapy business or would like to become a Freelance Beauty Therapist, this course contains all the information you need. The course is open to all levels of experience and aims to give the practical knowledge and skills needed to work in the Beauty Therapy industry. 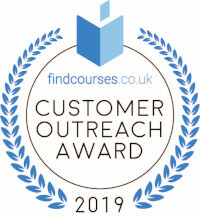 Our curriculum has been designed by experts in Beauty Therapy, and covers everything from in-depth lessons on make-up application and tools, how to create your kit, manicure and pedicure techniques, and hair styling for men and women. So you can be assured that upon successful completion of the course you will be fully able to enjoy a career in the Beauty industry and could go on to higher-level study if you wish to do so. This course is suitable for anyone hoping to work in the Beauty Industry, either freelance or within a salon. You don’t need to have any previous qualifications to take this course, it’s available to all students, of all academic backgrounds. Learners should have basic understanding of English language, literacy, numeracy and ICT to take this course. Successful candidates will be awarded a Diploma in Beauty Therapy – Level 2. At the end of the course learners will take an online multiple choice question assessment test. This online multiple choice question test is marked automatically so you will receive an instant grade. 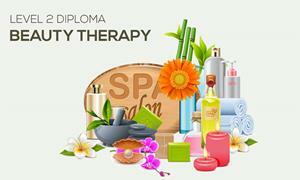 Fill out your details to find out more about Beauty Therapy Diploma – Level 2.